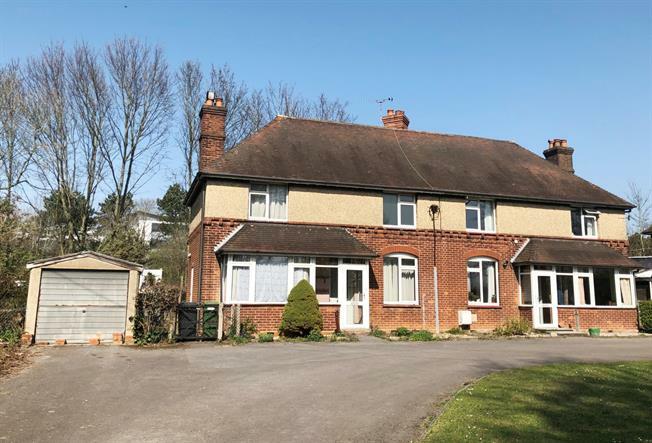 3 Bedroom Semi Detached House For Sale in Basingstoke for Asking Price £299,950. Being sold with no onward chain is this unique three bedroom semi detached house in need of modernisation. The property has potential for improvement and subject to relevant permissions could be extended. It is tucked away in a no through road with only two other properties. The ground floor comprises; a porch, front to back lounge, kitchen, larder and a separate dining room. Upstairs there are three bedrooms of good proportions, a bathroom and separate WC. Externally there is a garage to the side and a decent size rear garden which is mainly laid to lawn.